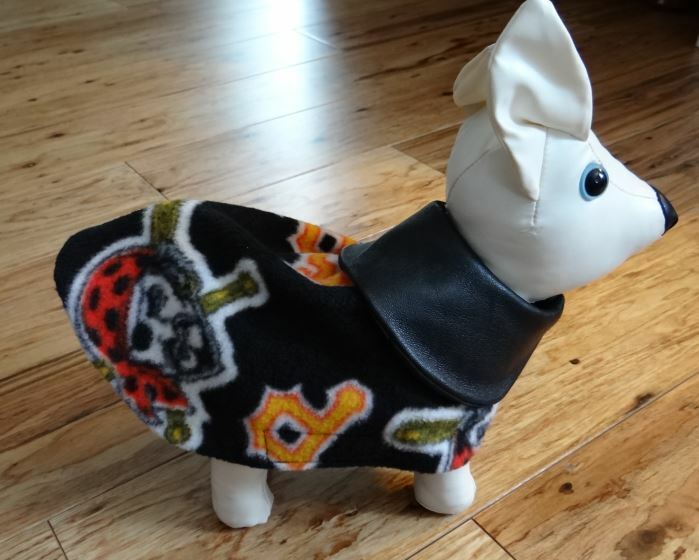 This Pittsburgh Pirates Fleece Dog Coat With Faux Leather Collar XXS Size is a unique Bark Avenue Dog Boutique original. 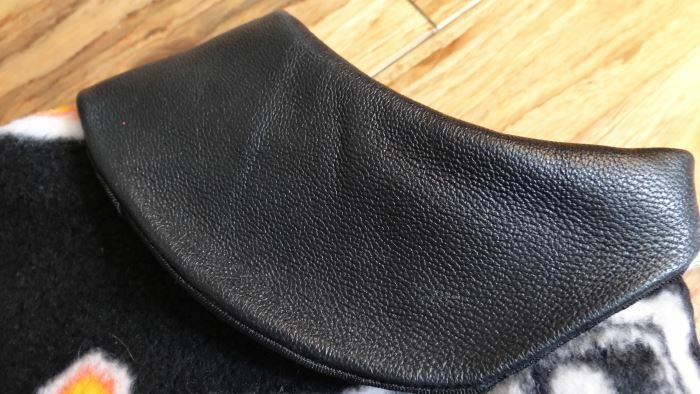 It was designed by using quality fleece and faux leather. 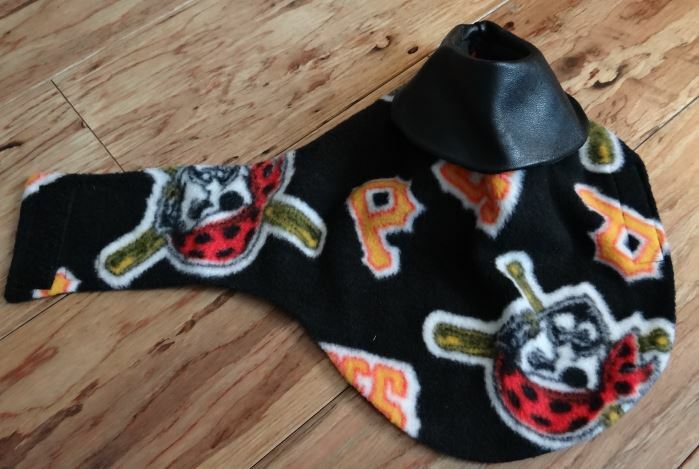 Let your little one step out in style during the baseball game season. 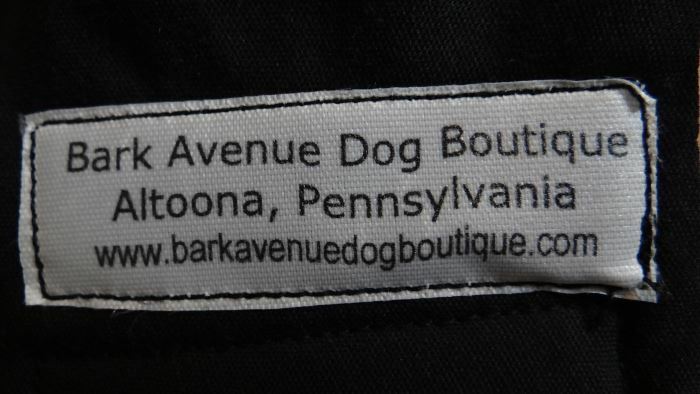 This is a quality sports jacket for your pet. 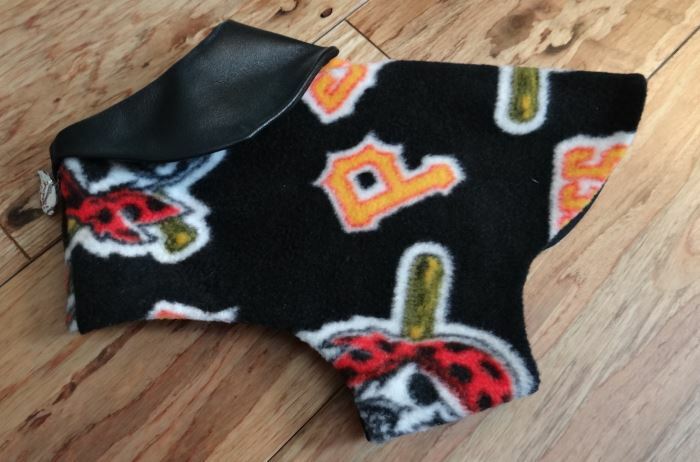 The quality black fleece has been printed with a Pittsburgh Pirates print design on it. The black faux leather collar adds to the finishing design of the jacket. 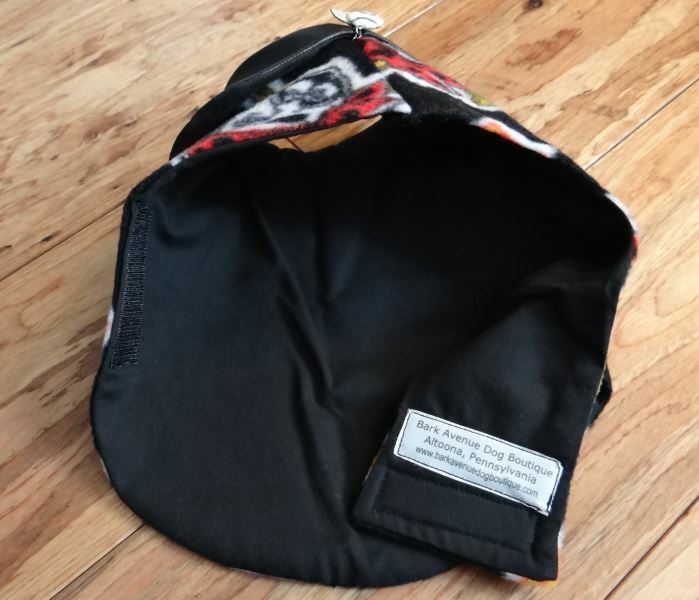 The jacket is fully lined with a black cotton polyester fabric. 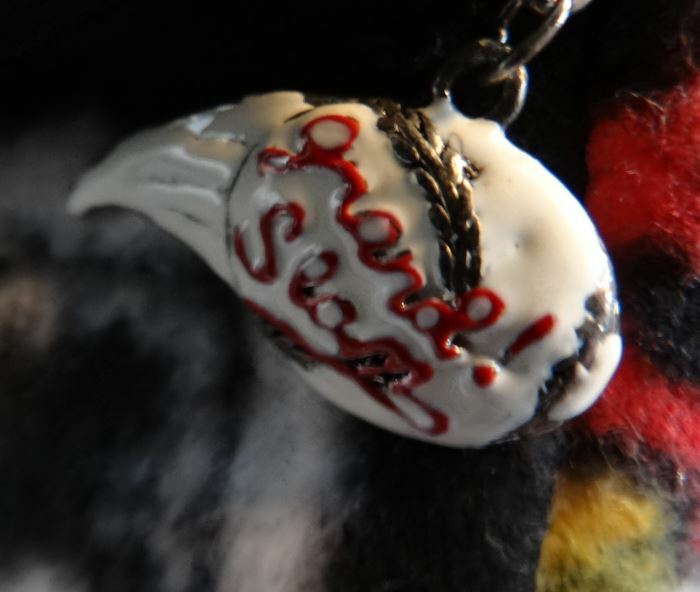 There is a metal painted baseball related charm at the neck of the jacket. The jacket slips over the puppy’s head and velcros under the tummy. Machine wash and dry fat to keep the fleece fluffy and the faux leather from peeling. The measurements are 8” around the neck, 8” from the back of the neck to the edge of the jacket and 14” around the tummy.